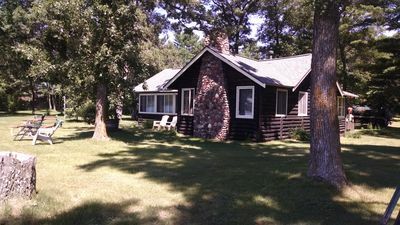 Built in 2004 with all the amenities. 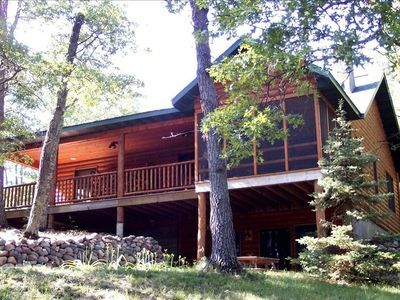 You'll fall in love with the beauty and serenity of this peaceful, quiet 4-season retreat on a pristine 30 acre lake. 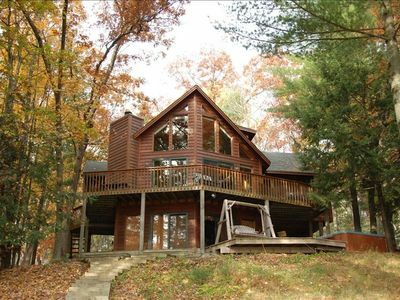 From the beautiful screen porch overlooking the lake to the over-sized Jacuzzi tub and sauna, this home has it all. 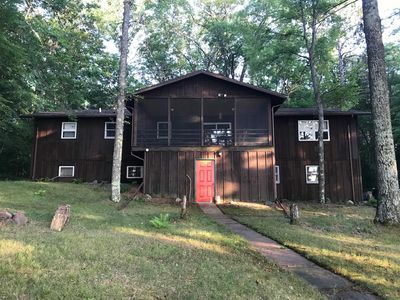 Built-in Bose sound system with speakers indoors and out, 8 foot slate pool table, new furniture, wood burning stove, wired and wireless high speed Internet, hand-peeled log siding, professional landscaping, hickory floors, custom cabinets, and LOTS of character. The main floor features a master bedroom with a king bed and an attached private bath with over-sized Jacuzzi tub. 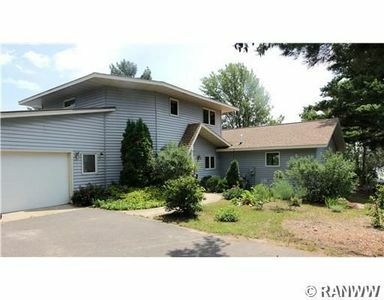 Also on the main floor are a guest bedroom with queen bed and a half bath. 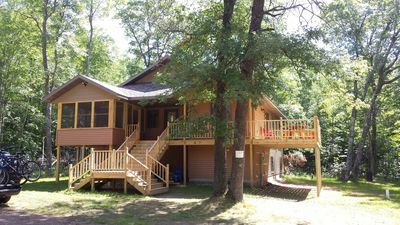 The lower level features a guest bedroom with queen bed and a full bath plus a sauna. A hide a bed couch with comfy queen air mattress rounds out the adult sleeping areas. A large loft with ladder stairs is great for older kids. The loft has a twin bed plus two loose-foam (bean bag-type) queen mattresses. 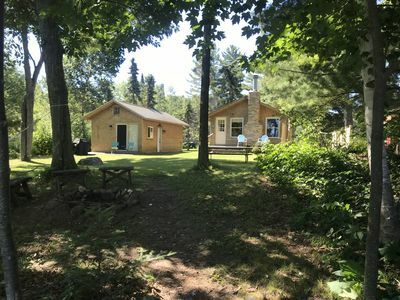 Fish for bass and sunfish from the dock or take the fishing boat, paddle boat or canoe (included) out on the quiet, scenic lake with no public access. 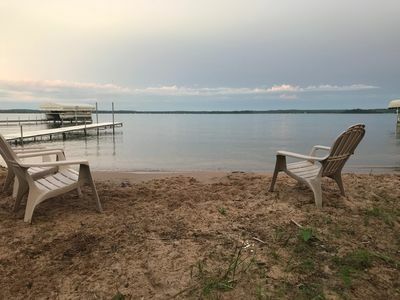 Although the beach is moderately sandy, the lake bottom is somewhat soft sand with sparse weeds, so the best swimming is from the swim platform anchored in 20 ft of water. The water quality is excellent and very clear. If you're interested in a sandy swimming beach, there's a wonderful family-friendly public beach at Shell Lake, 13 miles (20 minutes) away. For more info, Google 'Shell Lake'. Just over two hours from Minneapolis/St. 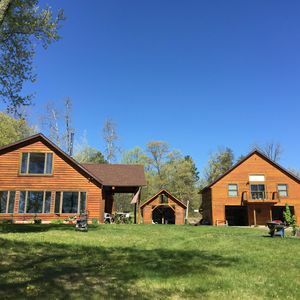 Paul, this is cabin country with lots of recreational opportunities including river canoeing, kayaking, tubing, hiking, biking, skiing (all kinds), fishing, etc. 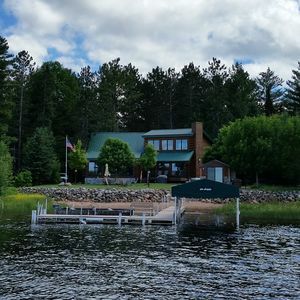 There are many lakes in the area, including a large recreational lake with a public landing 1/2 mile away. 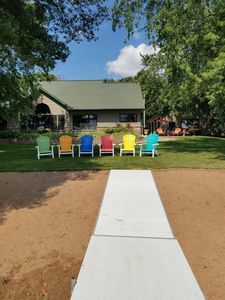 Linens and towels are provided and a gas grill is available. 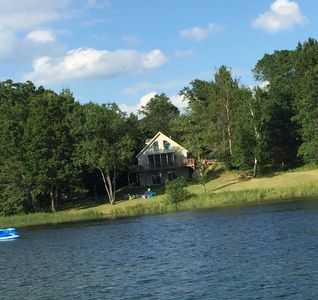 Boat, motor, canoe & paddle boat are included with rental. A note for TV lovers...a DVD player and a 50 inch TV is available. Be sure to click on the link near the bottom of this ad (below the calendar icon) for more photos. 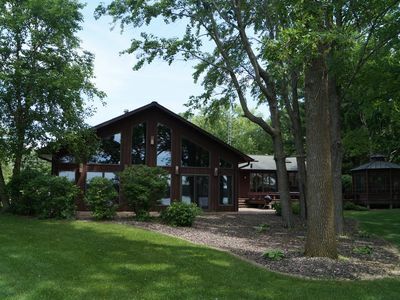 Trego - 3000 Square Feet of beautiful, spacious living on Matthews Lake. 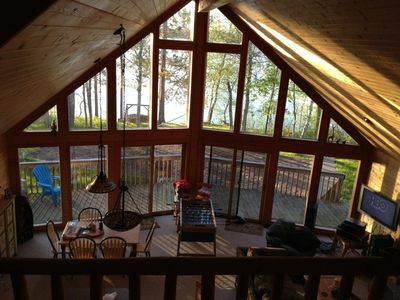 Lakefront house on beautiful Shell Lake, come and relax. 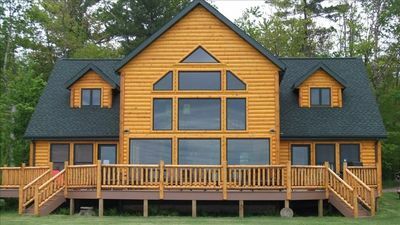 Northwoods Wisconsin Retreat!! 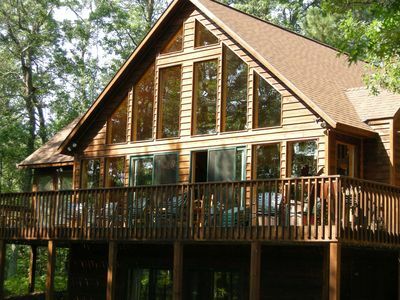 Newly built cabin sleeps 8 comfortably. 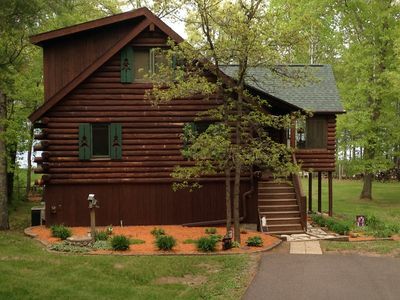 Perfect Log Cabin Getaway- Level elevation, sandy lake frontage, pontoon incl. 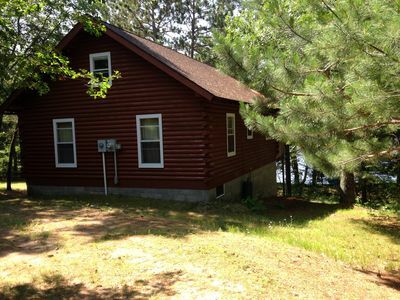 Cabin for rent on clear 2500-acre Shell Lake in Shell Lake, Wisconsin. 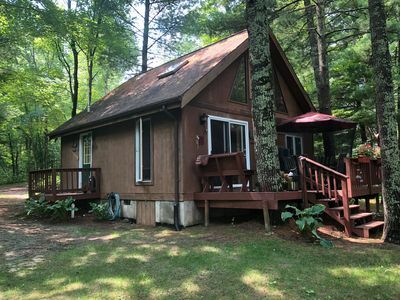 Luxurious Lake McKenzie Cabin Getaway ~ Recently Remodeled! Sandy Shores Lodge!! 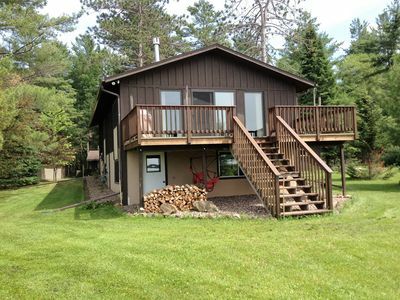 - 4 bdrm, 2bath - Lake Home on BEAUTIFUL SHELL LAKE! Starlight Escape! 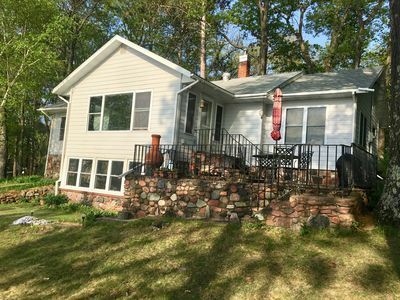 3Bdrm, 2bath LAKE home!